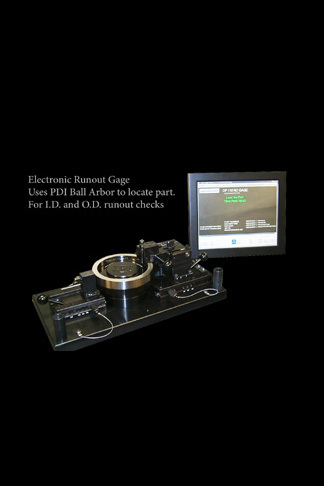 Precision Devices, Inc. Ball Arbors are used primarily to position parts for inspection of runout, concentricity, squareness and parallelism. 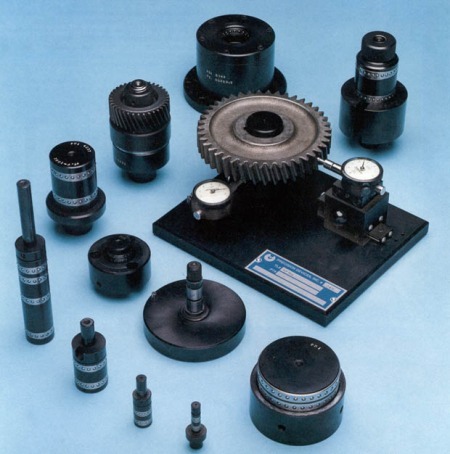 Parts may be straight or tapered, plain or serrated, full circumference or segmented (diameter range1/4" to 16"). 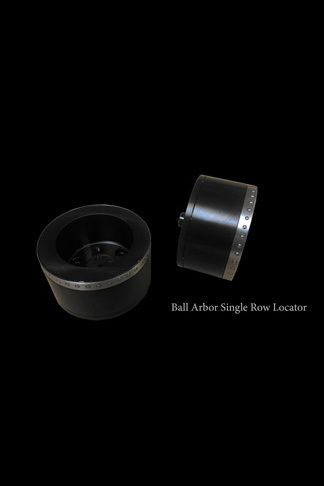 Ball arbors are often used to solve difficult gauging problems, such as center distance gauging, true hole positioning and checking the requirements of geometric tolerance. 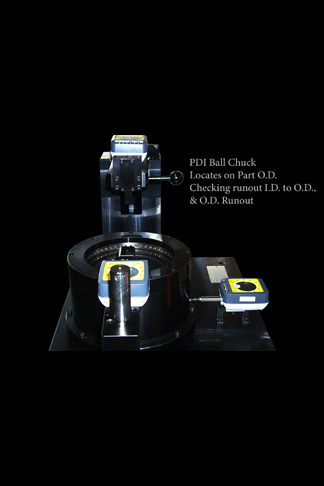 PDI Ball Chucks employ the same exclusive ball-ring principle as the ball arbors, and are used to locate O.D.s from .156" to 16". As with our ball arbors, ball chucks are used primarily to inspect parts for runout, concentricity, squareness and parallelism. 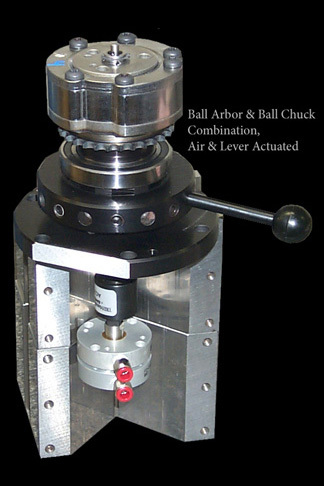 PDI ball arbors and chucks can be manufactured with a single row or multiple rows of ultra-precision steel balls. Each row of balls moves independently of the other, accurately establishing the true axis of the work piece. The ball tracks may be spaced together or apart. 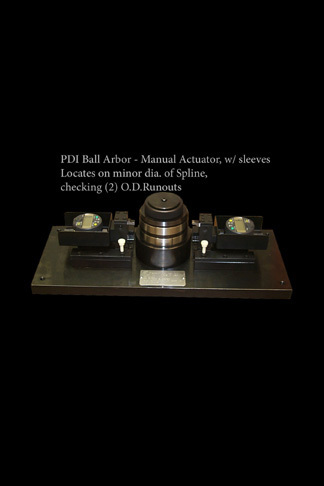 The spacing, as well as the diameter and quantity of the balls used in each ball track, is selected to achieve maximum accuracy and repeatability. Repeatability of .000050" can be realized. 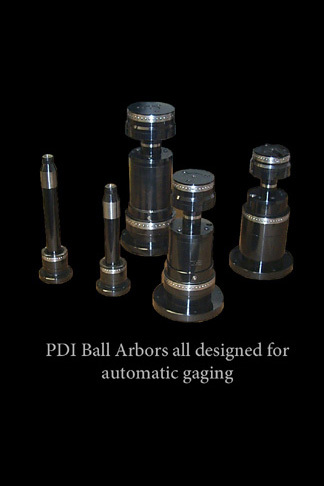 PDI Ball Arbors and Chucks are all custom designed and built to each customer's application. 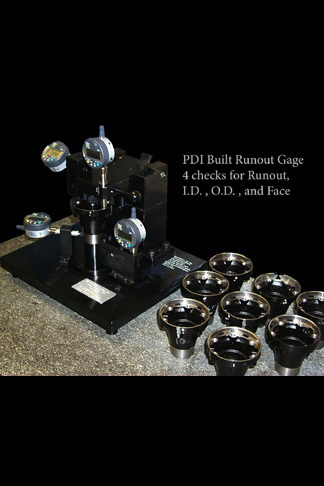 In addition, PDI has the capability to provide complete inspection packages, including arbors/chucks and all associated fixturing to meet your exact gauging requirements. 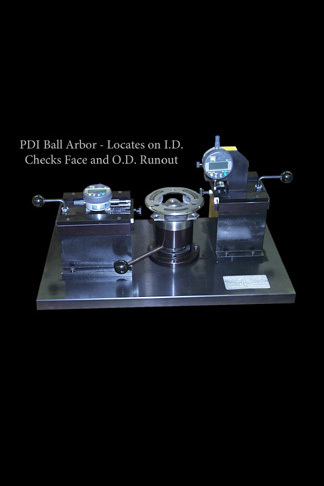 The key to many of the features of PDI Arbors and Chucks lies in the circle of precision balls that contact the part. 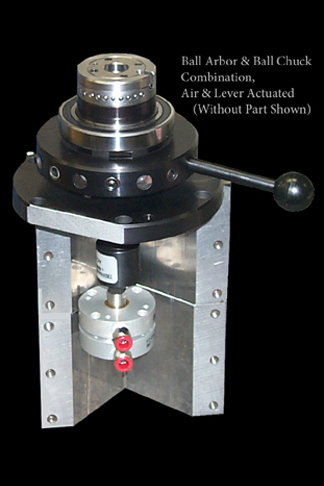 Seated in an expandable raceway, the balls firmly contact the part, establish and maintain its true axis, and still allow it to rotate freely. The workpiece I.D. or O.D. is always centered, regardless of slight variations in diameter, roundness or taper. PDI Ball Arbors and Chucks are virtually indestructible. 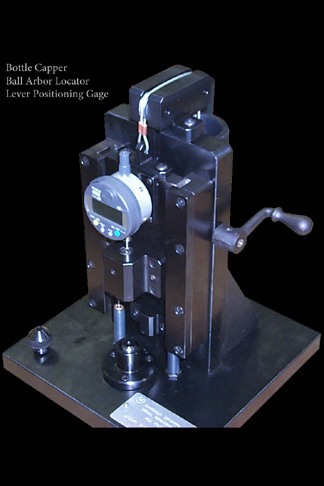 The precision balls are made of hardened steel and the faces that form the V-grooves are hardened, ground and lapped. Ball wear is compensated for by self-rounding. These devices will do their jobs and maintain their accuracy through many years of constant use. Accurately establishes axis I.D. or O.D. 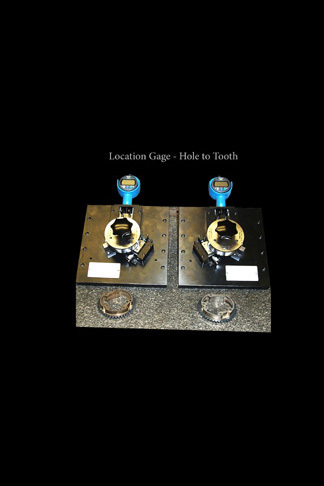 up to .000050"
For piece parts with same locating diameter but varying parts lengths, multiple row arbor/chucks can be used, as in the arbor at left; certain processes may require locating on diameters of different size. The arbor/chuck will determine the centerline of the part based upon the two different locating planes.